We are pleased to tell you that we have been nominated to feature in Nationwide Building Society's Community Match programme. Community Match is Nationwide's in-branch, local charity voting scheme. Their branches feature three local charities/causes from customer nominations. 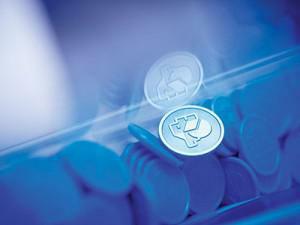 Customers are then invited to vote for one winner with a blue token, issued in branch. Shortlisted causes will receive a £100 donation. Winning causes, that receive the most votes at the end of the voting campaign, will receive an additional £1,000 (this is £500 more than normal as this will be the last Community Match for a while). At the end of the voting period, Nationwide will add together the voting results from the above branches to calculate a winner. If a charity is winning in one branch, they may not necessarily win across the whole cluster of branches they are featured in. Voting will end on Friday 31 March 2017. Please take a moment to vote for Dorothy Goodman next time you visit one of the above Nationwide Building Society's.